At first sight, buying a second-hand website or domain can bring you a lot of benefits, but at the same time, you may waste your efforts and money. On the one hand, you'll have a rich link profile, and on the other – dark past with the search engine penalties. For those of you who are determined to purchase existing domain or website, we’ve created a comprehensive checklist and a small use case for buying a website. 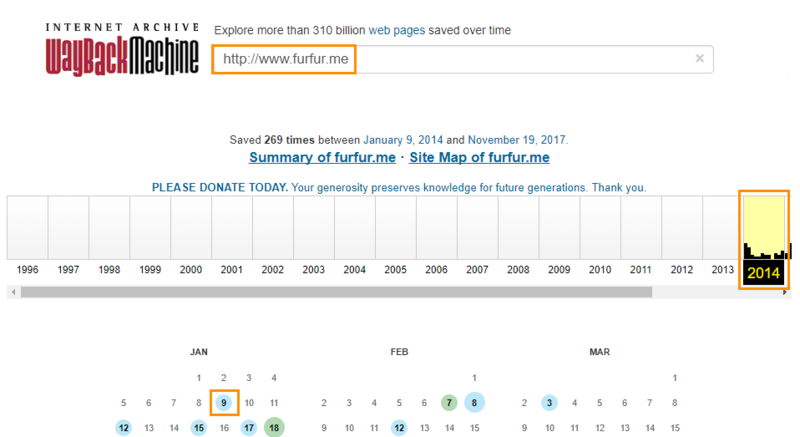 As an example we used furfur.me domain which has stopped its activity in early 2017. This article will be useful for SEO specialists, webmasters and link builders searching for donor websites. Some of the parameters mentioned below are available in Netpeak Checker by default. The rest of them can be analyzed with Moz (paid access is required, but you can use its free functionality with lower amount of data and processing speed), Ahrefs, SEMrush and Majestic services connected to Netpeak Checker via API. They will be marked with an asterisk. The first things you should think about are domain creation and expiry date according to the WHOIS domain database. Free access to this data is provided for all Netpeak Checker users. You can also get emails of all previous domain owners. Useful, isn’t it? To get data mentioned above, select all corresponding items on the left ‘Parameters’ panel in WHOIS section. Security Issues in Google Search Console. If you are negotiating about purchasing a website with its current owner, we highly recommend you to request access to Google Search Console. After gaining access to webmasters’ console, open ‘Security Issues’ tab and check Google Search Console security warnings. Search Engine Penalties. Make sure that domain wasn’t blacklisted and malware-infected. Use Sucuri SiteCheck service to perform a security check. It provides free security data analytics. Compromised Website (Google SERP → Host parameters). It indicates whether the website has 'This site may be hacked' message in Google SERP snippet. Indexation (SERP of selected Search Engine → Host parameters). It indicates whether the target URL is indexed by Google, Bing, Yahoo or Yandex. Indexed URLs (SERP of selected Search Engine → Host parameters). A number of website pages indexed by Google, Yahoo, Bing or Yandex. Backlinks (Ahrefs → Host parameters). * A number of external ‘live’ backlinks linking to the target URL according to Ahrefs. 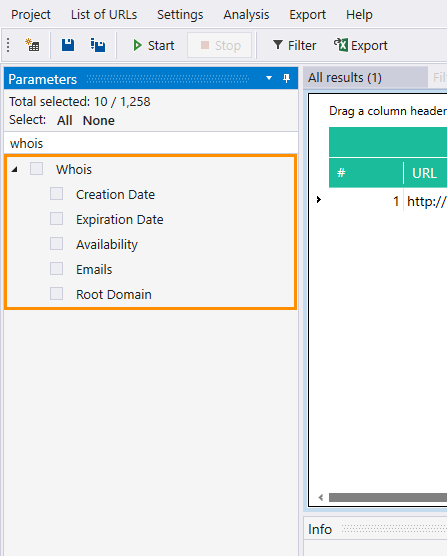 External Links (Moz → Root Domain parameters). * A number of external links to the target URL including nofollow links according to Moz. External Backlinks (Majestic → Host parameters). * A number of external backlinks to the target URL according to Majestic. Make sure that you’ve chosen a proper Majestic index of backlink data (Settings → Services → Majestic). You can choose ‘Fresh’ (past 90 days) or ‘Historic’ (past 5 years) index. We’ve used the second one for furfur.me backlink analysis. Dofollow Backlinks (Ahrefs → Host parameters). * A number of dofollow backlinks linking to the target according to Ahrefs. Nofollow Backlinks (Ahrefs → Host parameters). * A number of nofollow backlinks linking to the target according to Ahrefs. This parameter also plays a key role in backlink analysis because natural backlink profile must contain not only dofollow, but also nofollow links. Edu and Gov External Backlinks According to Majestic (Majestic → Host parameters). * Government and educational domains have high authority and trust scores, so if they are linked to your website, you can get higher search engine trust level. Gov Backlinks and Edu According to Ahrefs (Ahrefs → Host parameters). This parameter is similar to the previous one. It shows total number of backlinks (including images and nofollow links) from government and educational websites. Sites Linking in (Alexa). A number of websites referring to this domain according to Alexa. 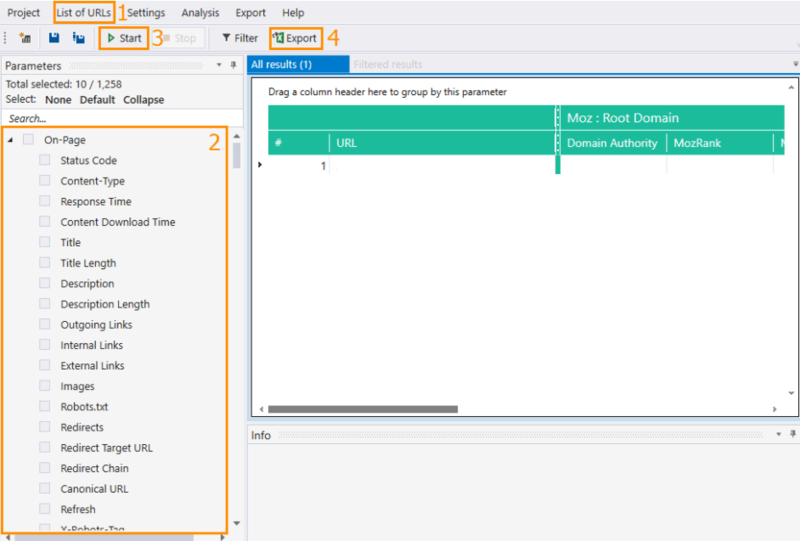 Root Domains Linking (Moz → Root Domain parameters). * A number of root domains with any pages linking to the target according to Moz. 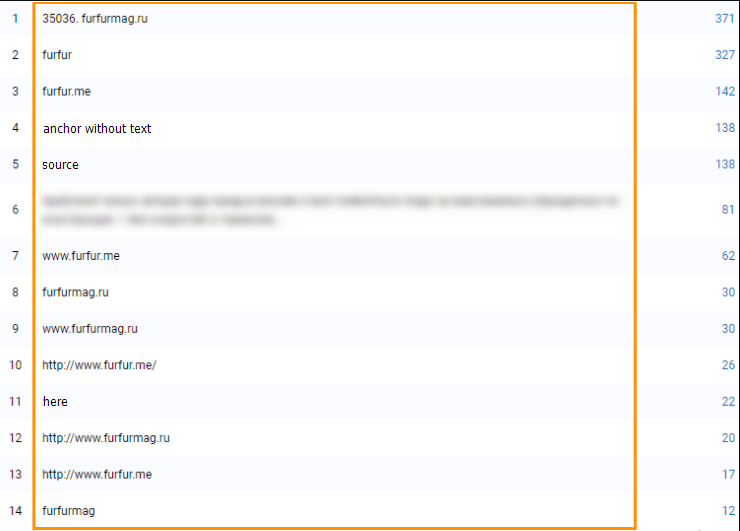 Mentions (Google SERP → Host parameters). A number of the pages from other websites that contain target exact match. Website traffic analysis is interesting for number of reasons. First and foremost, analytics data clearly demonstrate if there were any suspicious traffic spikes in the website’s history. 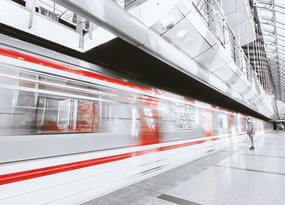 And, secondly, it will help to predict potential amount of traffic in future. Traffic Overview. The easiest way to get information about website traffic is to ask current website owner for a Google Search Console access. If this is not possible, perform an analysis with two tools: Serpstat module* in Netpeak Checker (Serpstat → Root Domain parameters → SE Traffic) and free version of SimilarWeb service. Majestic Citation Flow (Majestic → Host parameters). One of the Majestic Flow Metrics calculated according to the number of websites linking to the target URL. Majestic Topical Trust Flow (Majestic → Host parameters). Score between 0-100 showing the Trust Flow for the main category according to Majestic. Trust metrics should be assessed in the context of website history. They can help you determine tlink profile quality in case when a website has a lot of backlinks and they require comprehensive evaluation. Internal Links and Their Anchors’ Analysis with Netpeak Spider. An inspection aiming to detect suspicious links or spammy anchors. MozRank (Moz → Root Domain parameters). A score (measured from 0 to 10) to indicate link popularity according to Moz. Alexa Global Rank (Alexa). Global website rank according to Alexa. Alexa Local Rank (Alexa). Website rank in a certain country according to Alexa. Before making a conclusion based on current website content, you should ‘go back in time’ and make sure there wasn’t any suspicious activity before. The easiest way to do so is to use Wayback Machine, one of the biggest web archives. Indexation. Indicates whether the target page is indexed by WM. First Crawled. Date when the target URL was first crawled by the WM. Last Crawled. Date when the target URL was last crawled by the WM. Last Captured URL. Last copy of the page URL captured by the WM. Indexed URLs. A number of website HTML pages indexed by WM. In the first part of analysis we use Netpeak Checker with Majestic, Ahrefs, Serpstat, SEMrush and Moz modules integrated via API. In the main menu of the program choose ‘List of URLs’ → ‘Enter manually’ to set URL (or a list of URLs if you’re interested in several different websites) for analysis. In the ‘Parameters’ sidebar select all parameters you’re interested in. Netpeak Checker allows you to use all groups of parameters by default, except Majestic, Ahrefs, Serpstat, SEMrush, and Moz that require paid access and API connection. Launch scanning. Export results by clicking on ‘Export’ button placed under the main menu bar. According to the WHOIS data, furfur.me was registered in the July 2013.The first archive record in Wayback Machine was created six months later. And to make sure there was no suspicious activity on this website we opened Wayback Machine and found first website’s archived content. It matches main concept of the website, so we don’t have any concerns. Website’s security check with Sucuri SiteCheck service did not reveal FurFur’s presence in any blacklist. Unfortunately, Sucuri has detected malicious code on some pages of this website. According to the Compromised Site (Google SERP → Host parameters) parameter, a website doesn’t have 'This site may be hacked' message in Google SERP snippet. Scanning process revealed that furfur.me has got only 2 from 17 Moz Spam Score points. It means that website has insignificant chance to get search engine penalties. According to the Netpeak Checker data, the website was successfully indexed by Google, Yandex, Bing, and Yahoo. Bing has the smallest number of indexed URLs (15700), while Google has the biggest (80600). To find out how natural current site’s link profile is, we used Serpstat and its ‘Link Analysis’ tool. 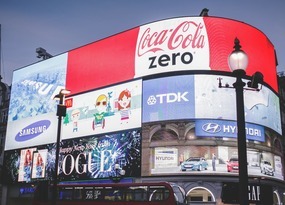 The most natural anchors usually contain naked links, brand name, and common generic words or phrases like ‘click here’. Based on this, we can say that furfur.me anchor list looks absolutely natural. The second part of backlink analysis consists of backlink donor analysis. In our case, an overwhelming majority contains Look At Media group websites. Among other donors we’ve found a lot of personal blogs, online media websites and online stores with no signs of spam. Before making a decision about purchasing a website, you need to know the amount of its organic traffic and get an estimated number of visitors in the nearest future. For this purpose, we used Serpstat (current traffic) and SEMrush (estimated traffic) tools integrated into Netpeak Checker via API. To perform analysis of website internal links and find some signs of spam, we used Netpeak Spider. We have analyzed internal links anchors of selected pages’ trying to find anything inappropriate or spam-looking. We analyzed a list of external websites that FurFur was linked to in the same way and didn’t find any pages with suspicious or spammy content. We’re also interested in external links number. It must be mostly lower than a number of backlinks. Otherwise, the website supposedly was making money by selling links. For accurate calculations we launch full crawling with Netpeak Spider and turn off all unnecessary parameters, except for ‘External Links’. After completing the crawling we need to export a table with scanning results, remove duplicates and repeating social links, and summarize external links number. MozTrust relative index (Moz → Root Domain parameters) was chosen as a key metric for measuring website trust. FurFur was rated as 4.95. It is a good rate for such websites. To make a comparison, we took several niche media websites with a similar audience. Their MozTrust rates varied between 4.19 and 5.64 out of 10. The main website ranking scores include metrics from Moz, Ahrefs, Alexa, and SEMrush described in paragraph 1.8. We received furfur.me ranking data using their functionality within Netpeak Checker. Moz Domain Authority metric is a 100-point logarithmic scale for measuring website's popularity, so it is fair to say that every subsequent ten points require more efforts than previous. In case of FurFur this metric is a bit higher than 50 points. 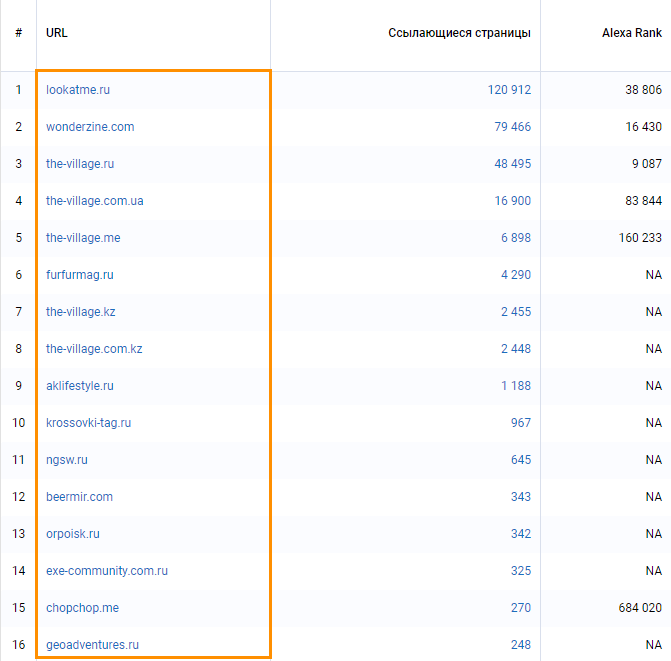 It is above the average niche media websites with a similar audience (Wonderzine.com: 49.36, Comma.com.ua: 30.31). Domain Rating, a similar metric from Ahrefs, has the same scores. You can also use SEMrush Rank to calculate website’s position in global domain rating. It depends on selected search engine (we took three Google regional versions: Google Ukraine, Google Belarus, and Google Russia). Indicator value is interpreted according to the principle ‘the closer to one the better’. The highest positions were found in Russian Google SERP. Local and global rankings are measured with MozRank, Alexa Global Rank и Alexa Local Rank (for the main website’s region according to Alexa). MozRank, just as well as MozTrust, accepts values from 0 to 10. In case of furfur.me this indicator is 4.95. 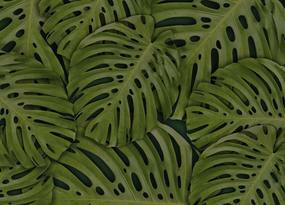 The average value for niche varies from 3.94 to 5.84. To perform such analysis, you need to use several tools including Netpeak Spider, Serpstat and Netpeak Checker with Moz, Ahrefs and SEMrush parameters integrated via API. What instruments do you use for website evaluation? Which metrics do you trust more than others? Share your experience with us! We’ll be glad to add your recommendations and make this checklist even more useful. And of course, our team is ready to answer all your questions in the comment below.